Team LUNGevity is sold out of guaranteed charity entries for the 2018 Bank of America Chicago Marathon. If you secured your own entry for the race (through the drawing or other guaranteed entry option – eg, time qualifier, legacy runner, deferral, etc), then you are welcome to join Team LUNGevity! See our registration options here. Interested in 2019? Email kginda@LUNGevity.org to join our waitlist. 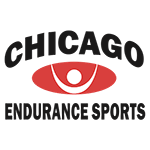 Run the Bank of America Chicago Marathon and fundraise with Team LUNGevity! Do something BIG! Join Team LUNGevity in the Bank of America Chicago Marathon and be one of the 45,000 runners to conquer the city's streets! By running one of the World Marathon Majors, you will be among runners from all 50 states and more than 100 countries as you wind through more than 29 of Chicago's most popular neighborhoods. Between the sights, fans, and personal accomplishment, you won't find a better way to spend a Sunday! LUNGevity is an Official Marathon Charity Partner. Please note that you are signing up here to run as a part of Team LUNGevity. This is NOT your official Marathon registration. You need to have registered at www.chicagomarathon.com. Be sure to read about the three options you have to run with and fundraise for Team LUNGevity for the 2018 Bank of America Chicago Marathon. See the Bank of America Chicago Marathon website for the complete event day schedule and packet pickup information.